Please choose which DSDP+'s Cover do you want in options. inside pcb is the same. Because the express shipping companies new rules, packages can't ship with 4 cells/2 batteries (one DSCDP+ includes 2 cells) or more, we must remove all the cells/batteries before shipping.Please noted it, thank you. 1. High quality, there is double Blue pcb inside. 2.Support both USB and Bluetooth connection, bluetooth distance: 2M-5M. 5. 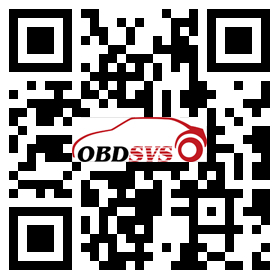 Support most vehicles: Full system coverage for BMW, VAG, Ford, Peugeot, Citroen, Renault, Vauxhall, Rover, Fiat, Volvo, Mazda, Mercedes, Smart, Nissan, Subaru, Toyota, Hyundai,and so on. 6. Can be used on Win7/8 and Windows XP system, can not be used on Windows Vista. 7. Support multiplexer function, 2xHS CAN (ISO 11898-2), SW CAN (SAE J2411), K/L (ISO 9141-2), RS485 (J1708), TTL and (SPI, analog in, 5volt out). 3.When you install Multidiag Pro CDP for cars, please choose (NEW VCI) to install. 4.When you install Multidiag Pro CDP for trucks, please choose Heavy truck (NEW VCI) to install.